Lightly Dry roast the peanuts. Grind together peanuts (I use it with skin), red chili, onion, tomatoes, dalchini, Green chilies, Jeera, Corainder Powder, Garam Masala Powder, Clove, Cardamom, Corainder, garlic, ginger. Add water if required. In a pan or a kadai(Wok), add oil. Once the oil is hot add Hing. Once it sizzles add the masala and let it cook for 3-4 minutes. The masala should be cooked properly until one sees that it starts leaving the vessel or starts leaving oil. Add salt to taste and enough water as per desired consistency. Let it cook for 10 minutes on medium flame. Curry is ready. Do not add the Kofta’s now, or else it will absorb all the curry. 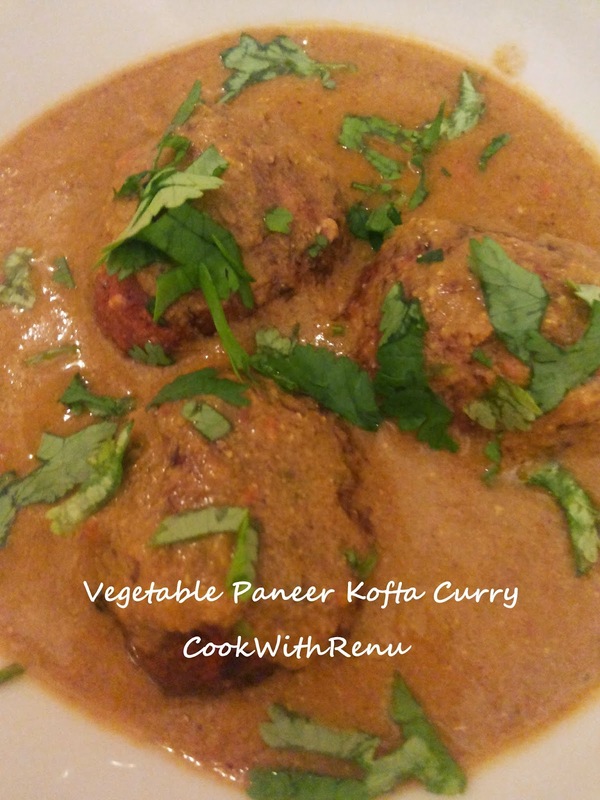 Just before serving, In a bowl add Kofta’s and add curry on top of it. Garnish it with Chopped Coriander.